I decided to call them Croc Eyes. The ingredients are so effing simple it’s silly. But when vegan snack attacks call, avocados are the answer. 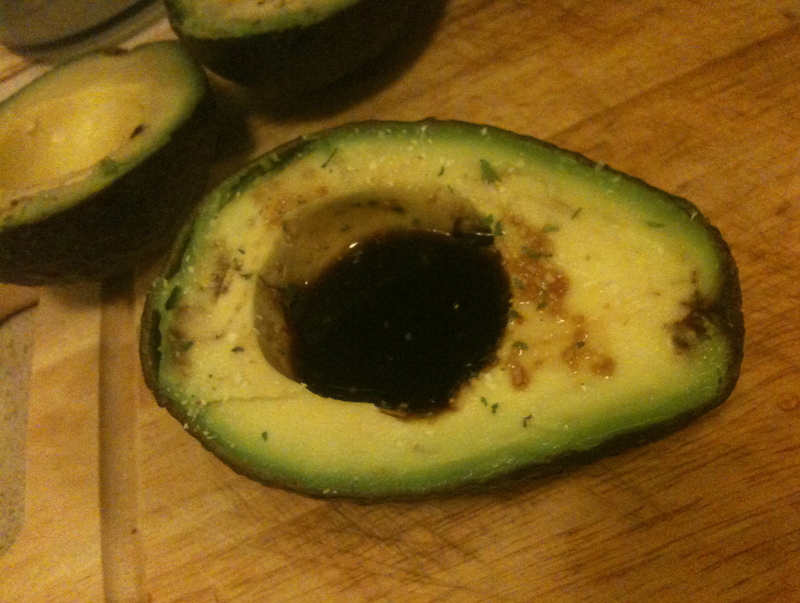 1) Cut the avocado in half, remove pit. 2) Sprinkle garlic salt, fill pit hole with vinegar. 3) Eat it with a spoon. Like a boss. Really, the main event is the avocado. You can garnish it however you please, or not at all. 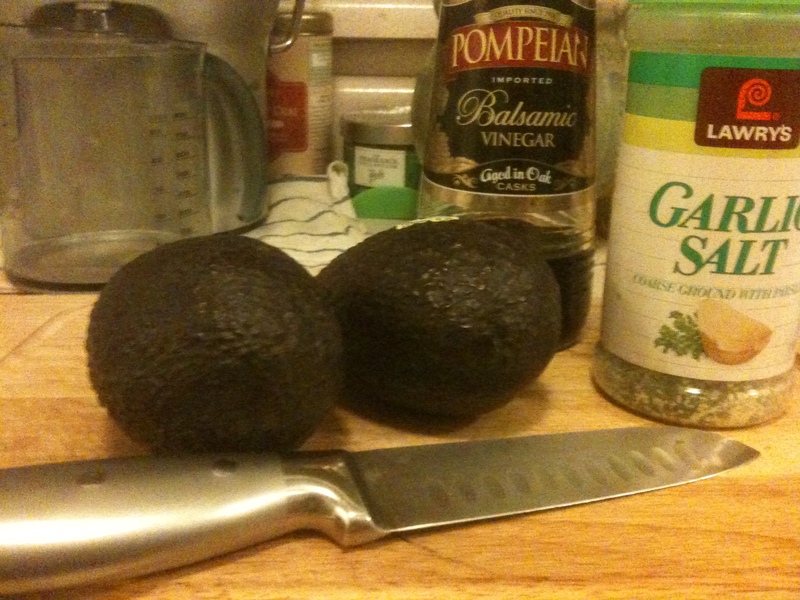 Point is avocados are really good for you, and their mild flavor makes it easy to dress up.